As it turns out, Thor isn't even that powerful. It's actually his hammer that has all the powers. Thor is one of the oldest and most powerful superheroes of all time. Even before he was a golden-haired Marvel icon he was a legitimate Norse God for thousands of years, and people all over the world bowed down to him. In today's age of comics and the Marvel Cinematic Universe, there's no denying that Thor can't do pretty much anything he wants. He can fight, he can fly, he's seemingly indestructible, and he's charming as hell. But how much of that is Thor and how much is his trusty hammer, Mjolnir? 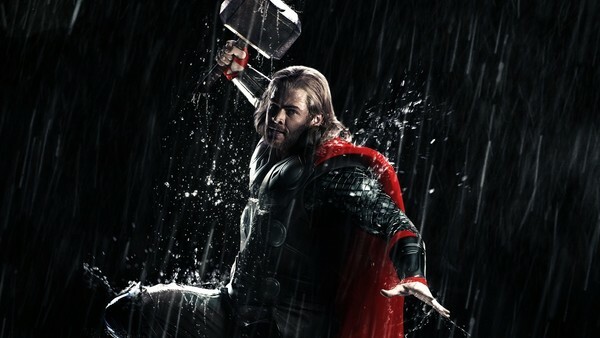 As it turns out, although a few powers come along with being a Norse God, the hammer's really where it's at. So many of Thor's legendary offensive and defensive powers come from his hammer, and without the skills that Mjolnir possesses it's safe to say Thor would have died a long time ago. Being charming is all well and good, but launching forcefields that can chew through entire galaxies is better; and that's something that only Thor's hammer can do. Jake Black writes the funny, weird, interesting things that you love reading. He's super cool, really famous, and everyone likes him. He's never once been punched in the face by Johnny Depp on a ferry traveling to Southampton, England.